You will love this incredible- single story home on a generous sized corner lot in highly desired Trophy Club!!! 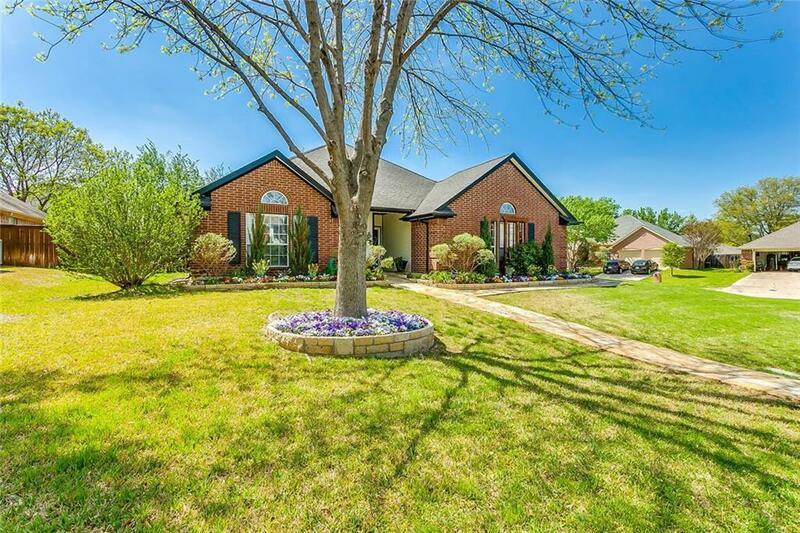 Enjoy upgrades GALORE including wood flooring, fantastic renovated bathrooms, gorgeous updated kitchen, elegant lighting, custom closet storage AND MORE!!! Relax in your beautifully landscaped yard with pavestone walkways and patio, stone ledges and entertaining is great beneath the backyard wood pergola!!! Windows and HVAC system have also been updated for increased home efficiency!!! Great location just minutes to Highway 114, Highway 170, Interstate 35, major shopping areas, restaurants and MORE!!! !